Providing Columbus, NE with excellent underground sprinkler service. Our lawn sprinkler professionals will keep your lawn looking lush and healthy. 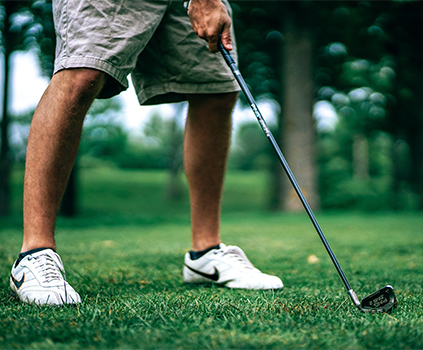 Since 1980 our commercial products help you present the image your business needs with a green, healthy lawn.We can also meet the needs of large systems such as golf courses, athletic fields, parks and more. We install only state of the art products. These products are more efficient and, in turn, help you conserve water. 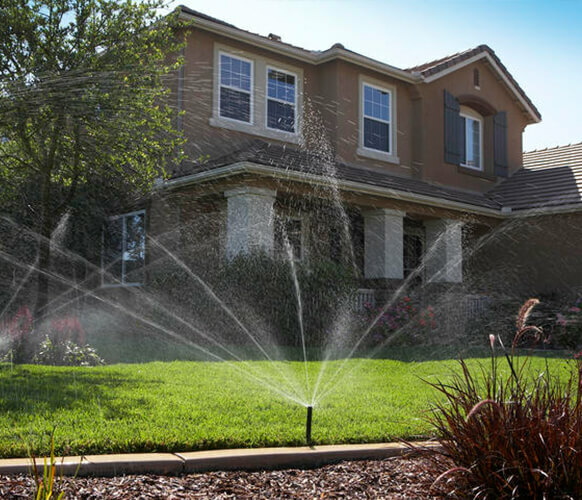 Efficient sprinkler products mean sprinklers that cover more area with less water at lower pressure resulting in a lower cost. Mueller sprinklers has installed 1000’s of sprinkler systems in Columbus and surrounding areas! You want your lawn to be beautiful & green, but are you just going to rely on the rain? Why not end your frustrations and precisely control the water your lawn needs. We use Hunter® products – the best in the underground sprinkler industry. We can also use drip and low volume irrigation in the bed and landscaping area with state of the art products. Bring in your lot and home plans. We will design the irrigation, landscaping, hydro seeding or sod design, fine grading. We offer a start up service in the spring to come out, turn the water on, set the controller, run thru all zones, adjust and repair as needed. We also work on submersible well pumps and controllers for your irrigation system. We offer a blow out or shut down service in the fall to winterize your sprinkler system. The blow out consists of a high volume air compressor that will remove all water from the sprinkler lines to help ensure that the lines don’t freeze OR we can come shut down the system and let the sprinkler system self drain for the systems that are automatic drain systems.